Managing employees through a period of change takes art, intuition, skill, strong listening, and effective communication. When done correctly, change management can help a leader gain respect and loyalty. Done poorly, it can have adverse effects on the organization and its people. Change management requires deft leadership both of the change and the people affected directly or indirectly by it. Here are eight ways to manage change in the workplace effectively. Change is essential for businesses to grow, expand, and thrive. However, change for change’s sake is foolhardy, disruptive, and likely inefficient. Planning for change is a key step. A business plan needs to spell out objectives, markets, and a mission, and how these things are about to change. A change management plan needs to clearly articulate the areas of the business that are to be affected and the impact on customers, suppliers, stakeholders, and employees. Employees will work better with concrete goals that are achievable (though they can simultaneously be aspirational). Workers need to be able to see the roles they play in achieving the new goals and what it will mean for them, their coworkers, their unit, and the organization once the goals are achieved. It is important to be able to articulate to employees where the company is now and where leadership sees it in the future. 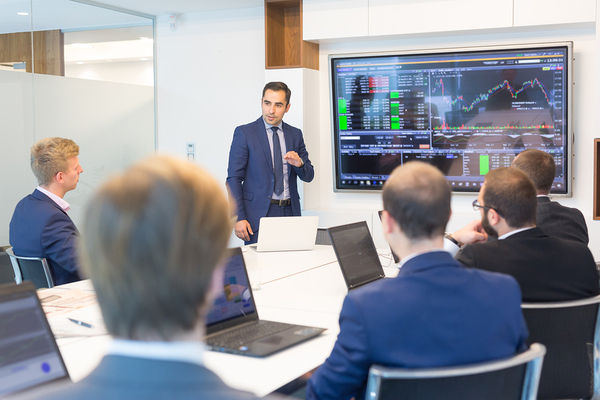 Leaders should also be able to articulate why the company needs to change and where it needs to be, whether due to shifting market forces, new opportunities, financial issues, or a new strategic approach. 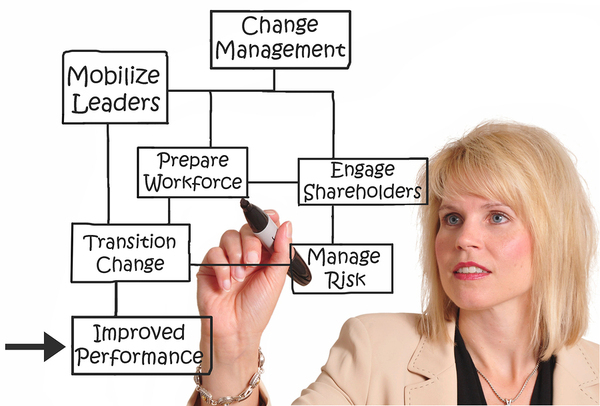 Change is often not fully articulated at the beginning of a change management process. Due to the iterative nature of change, it may be necessary to not just define the change at the outset, but redefine the change at various steps along the way. Updates should be provided frequently to mitigate rumors, answer questions, and provide reassurance. The faster change is happening, or if it begins to accelerate, the more frequent updates should be. All too often, old policies, programs, strategies, and work are dismissed out of hand as a new direction unfolds. For employees who worked hard on those items, this can be a major slap in the face, erode morale, and lead to more concern. During a period of change, leaders should recognize that such work happened, was important, and had meaning. Underappreciated employees will have a harder time embracing new initiatives. Regular and frank conversation is needed at the beginning of and throughout a change management process. All changes come with risk of the unknown, uncertainty, and other potential challenges. It is important that companies are upfront about the challenges that may be faced. Even if those challenges have not been fully identified and planned for, it is a good move to try and discuss the potential challenges, the range of those challenges, and what the company is doing or will do to address them. Employees are going to have a lot of questions, ideas, feelings, and emotions. It is important for managers, from front-line supervisors to c-suite leaders, to openly and actively listen to these concerns, validate them, and address them as clearly and frankly as possible. Even if you are unable to address their concerns, it is important to express that the employee concerns have been heard and will be addressed at a later date. Every organization has key players who have earned the respect of their coworkers, have longevity (and therefore perspective), and are influential. Getting key players on board and letting them act as a sounding board can help senior leaders better understand how change is being perceived, refer recurring issues, and become advocates for the change. Walking these influence-leaders through the change process and getting them on board can help with communication and confidence during the change period. Organizations need to translate changes into performance appraisal, assessment, compensation, and promotion cycles quickly. Employees in a time of uncertainty will want to know how the changes will affect the way they are evaluated. These changes need to be articulated well before the performance period begins whenever possible. Managing workplace change is often daunting for HR staffs to oversee, especially in smaller organizations. At The Lindenberger Group, we help companies adjust to change by working closely with internal HR leaders and other officials to create and execute change management plans. Contact us to learn more about how our professionals at The Lindenberger Group HR consulting firm can help your company navigate change successfully. Let us know your change story successes!